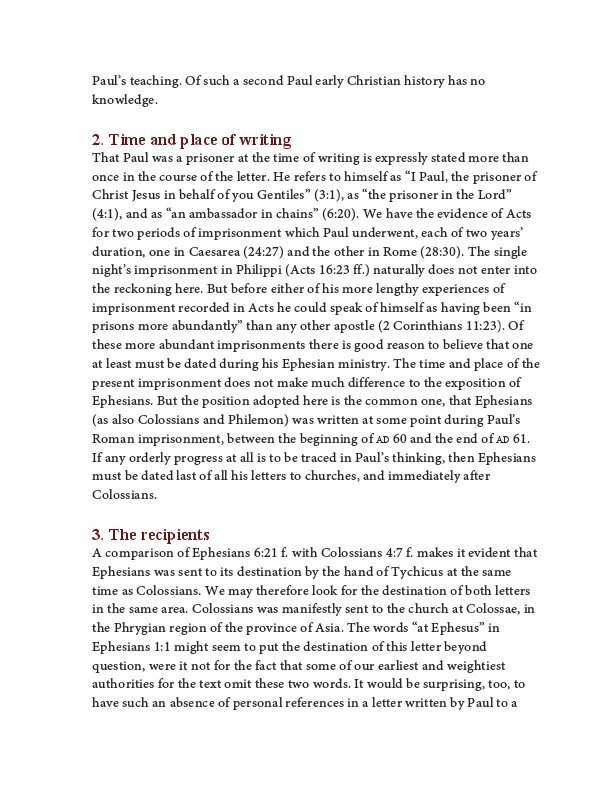 A thorough verse-by-verse exposition of Paul’s letter to the Ephesians. Bruce says that Ephesians unfolds God’s glorious purpose for the church, which should break down color and class barriers. “Only Christ can bring together people on either side of these barricades by first bringing them to himself.” This book is intended for the general Christian reader, not for the scholar. 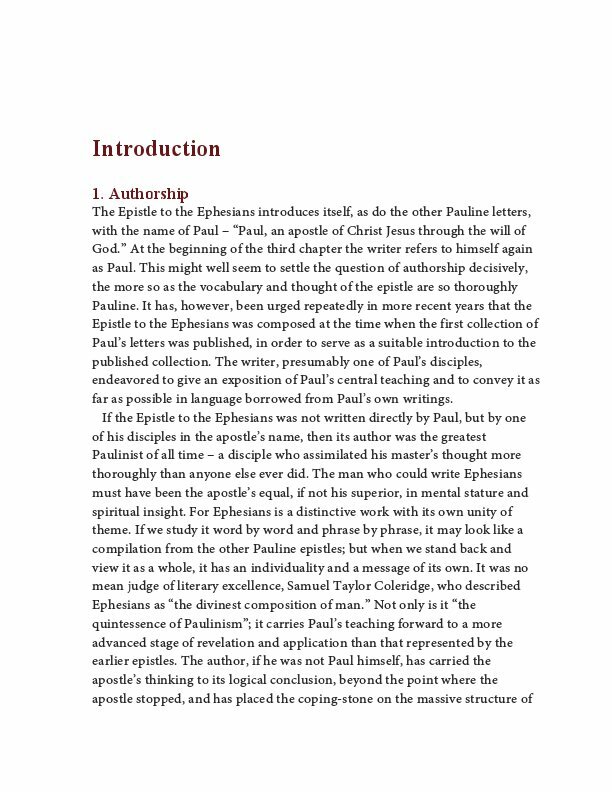 Bruce’s main aim is to bring out the meaning and message of Paul’s Epistle. 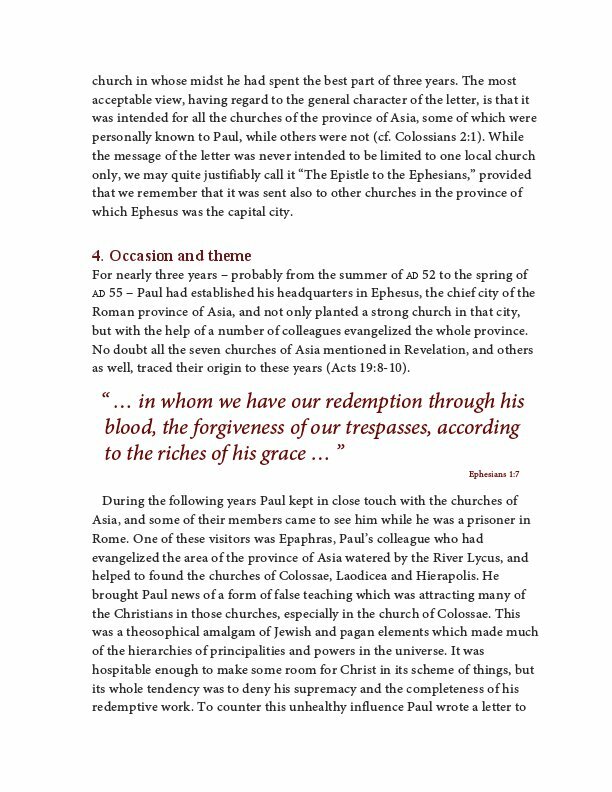 A thorough verse-by-verse exposition of Paul’s letter to the Ephesians. 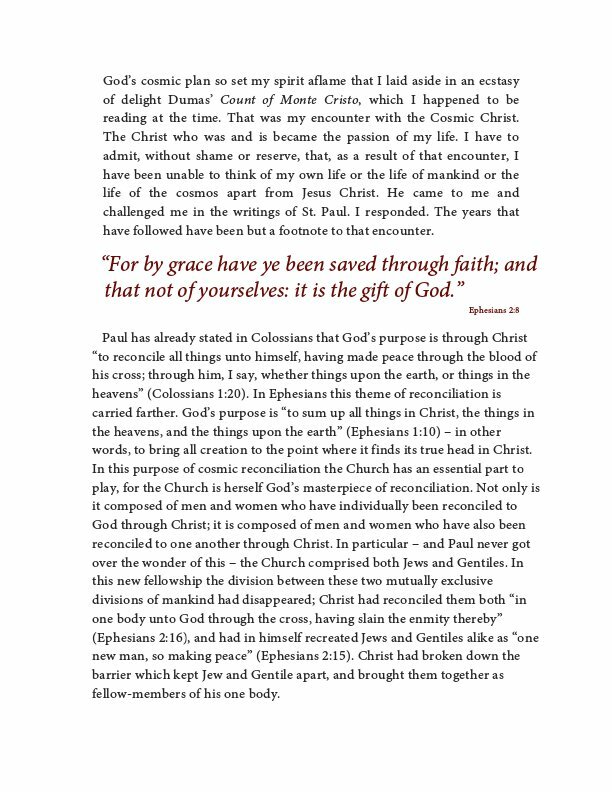 “Nowhere,” says Bruce, is God’s “glorious purpose unfolded so fully and clearly as in the Epistle to the Ephesians. . . . 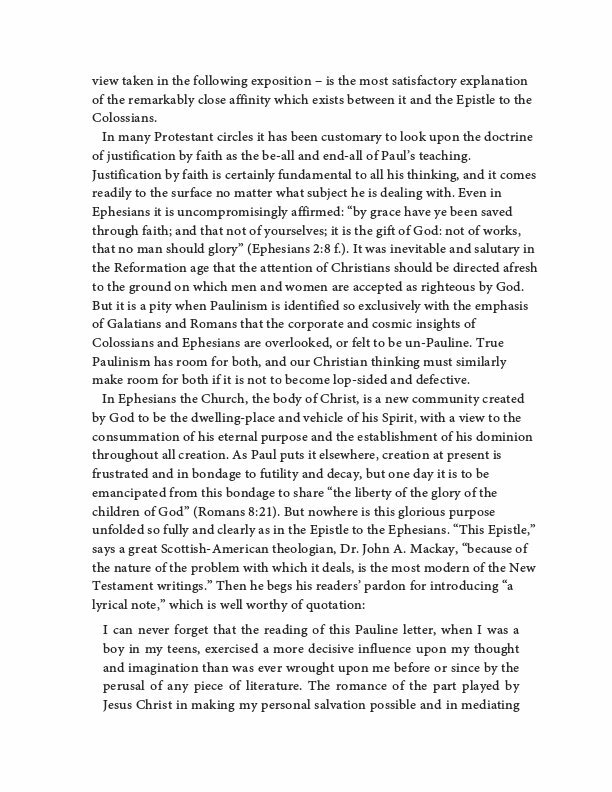 The message of Ephesians is that only through Christ, in the fellowship of his body, can iron curtains, color-bars, class-warfare and all other divisions of this kind be brought to an end. . . . Only Christ can bring together the people on either side of these barricades, by first bringing them to himself, thus making them one with him and therefore one with one another. . . . 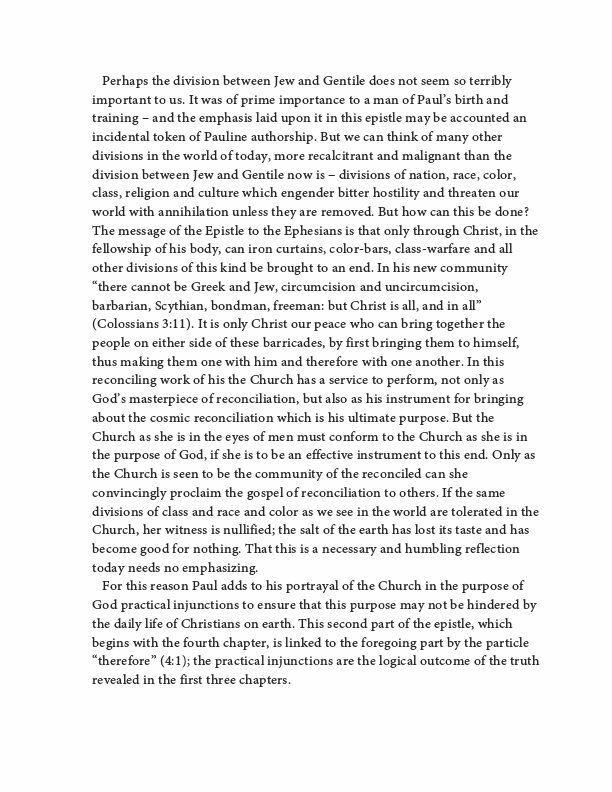 If the same divisions of class and race and color as we see in the world are tolerated in the Church, her witness is nullified; the salt of the earth has lost its taste and has become good for nothing.” It’s no wonder that Bruce quotes John Mackay as saying, “because of the nature of the problem with which it deals, Ephesians is the most modern of the New Testament writings.” This book is intended for the general Christian reader who is interested in serious Bible study, not for the professional or specialist student. Therefore Bruce deals only lightly with textual, linguistic and other critical questions. 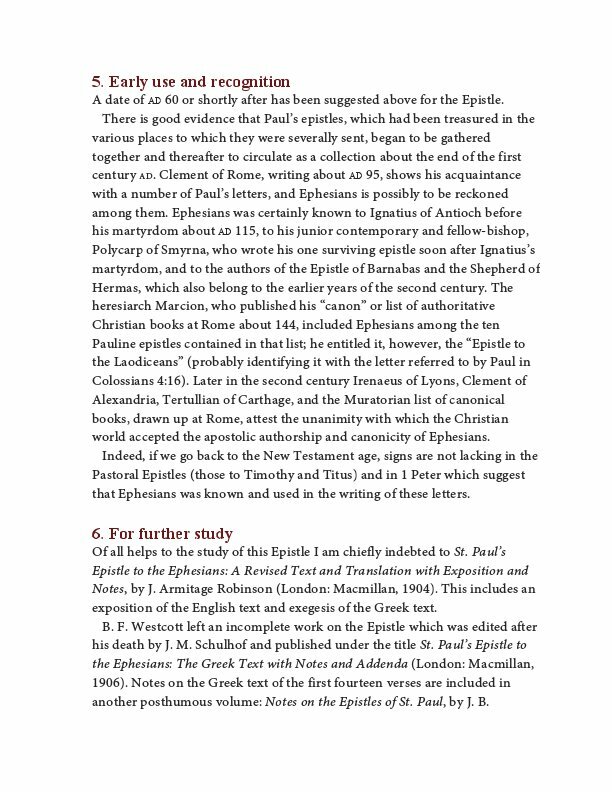 His main aim is to bring out the meaning and message of Paul’s Epistle. F.F. 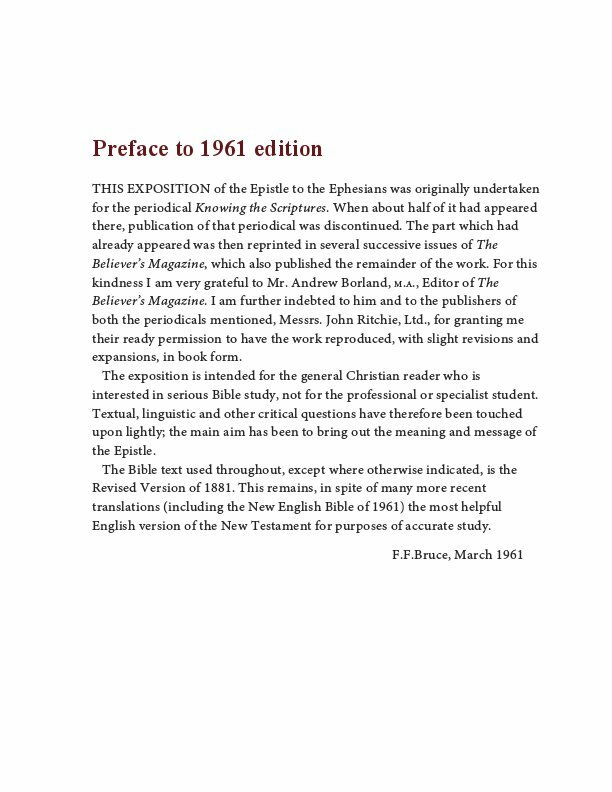 Bruce (1910-1990), known worldwide as the “dean of evangelical scholarship,” was Rylands Professor of Biblical Criticism and Exegesis at the University of Manchester in England. 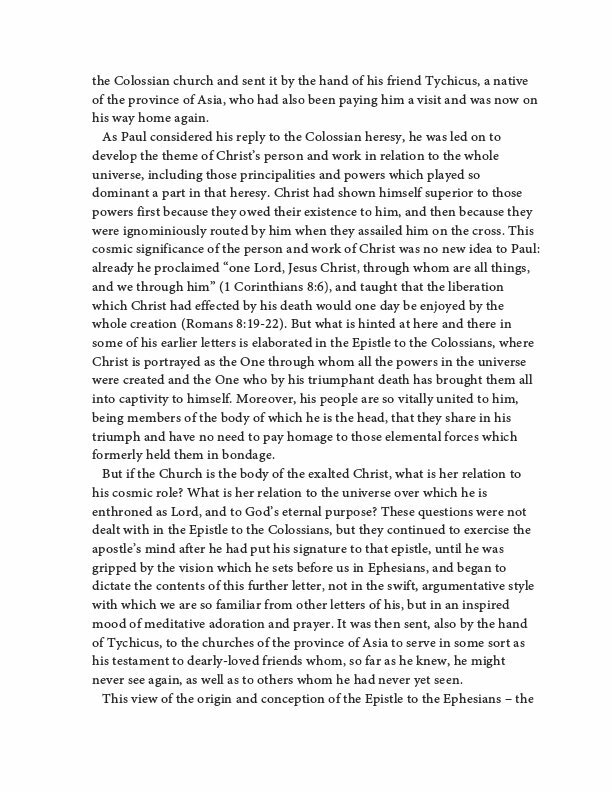 A prolific writer, his book "The New Testament Documents: Are They Reliable?" is considered a classic. Bruce combined an immense contribution to evangelical scholarship with a passion for proclaiming the Bible as God’s guide for our lives. 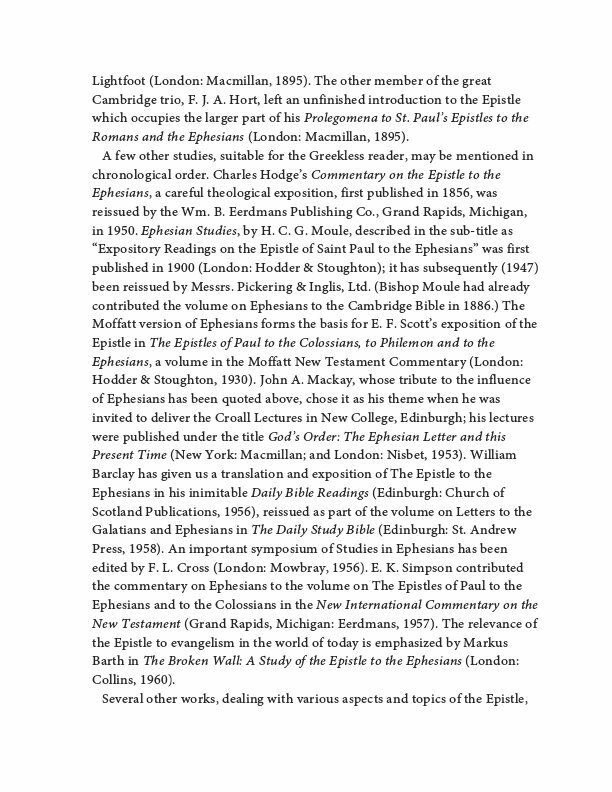 He used his great knowledge to explain the Bible simply and clearly, an ability that shines through in this exposition of Ephesians.